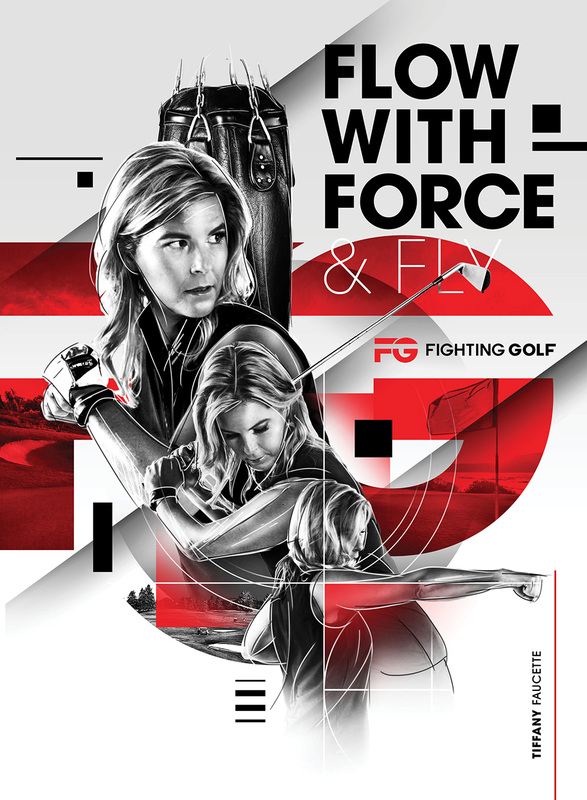 FIGHTING GOLF is a mindset focused on the art of movement so you can punish that little white ball. You’ll benefit by learning how to stop fighting yourself during the swing, instead using that energy and adrenaline to deliver a blow to the ball. As you FLOW WITH FORCE & FLY, you’ll bring your game from struggle to smooth. All sporting endeavors are a combination of mentality and movement. Tiffany takes you through her journey of her life in the swing. She started out as a confused beginner and reached the highest levels of the game. From the time she first touched a club, it took her only seven years to become the #1 ranked amateur in the country, after which she played professionally. In FG, Tiffany sheds light on how she initially “understood” golf how those ideas changed. With better understanding of the game was better, so too were her scores. Reading FG will save you a lot of time and frustration with on-target swing thoughts that work and how your body moves the easiest during your swing. My wish for you is that you develop a swing that Flows with Force & Fly! LEARN TO LEVERAGE YOUR BODY & KILL THE BALL!